Why am I sharing a pasta in this time of the year? Well, we can’t eat stew and turkey every day until next year, right? This Pasta Carbonara is one of my favourites! My ultimate favourite remains the Pasta with Chicken and Mushrooms. It is healthy too! The salmon and broccoli will give you the energy to wrap all of your Chrsitmas presents and decorate the whole house! Isn’t that great?! Oh and I almost forgot to tell you that it’ll only take you 30 minutes to make this pasta! Cut the salmon in pieces. Mix the cream and the eggs together. Put some butter in a pan. Bake the garlic. Add the broccoli and the salmon. Make sure the broccoli is done. Add the pasta when it’s done. Add the cream-eggs-mixture.Make sure the sauce gets everywhere. 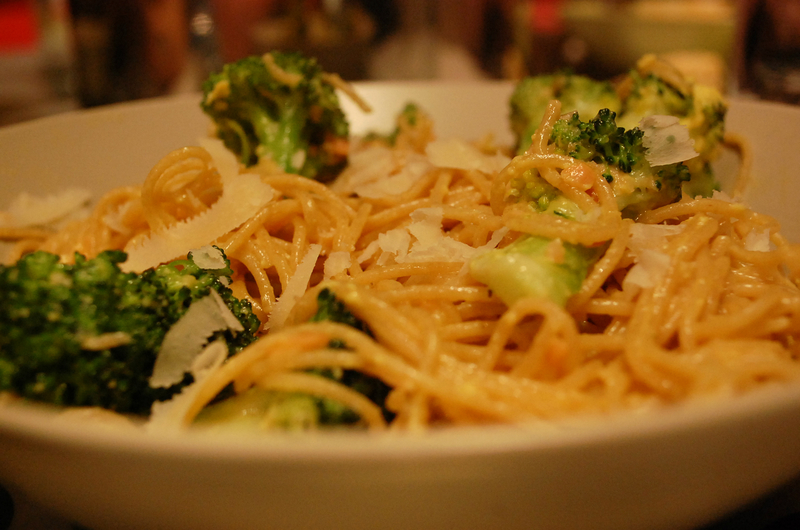 Sprinkle some parmesan over it but keep some to add when you’re going to eat the pasta. 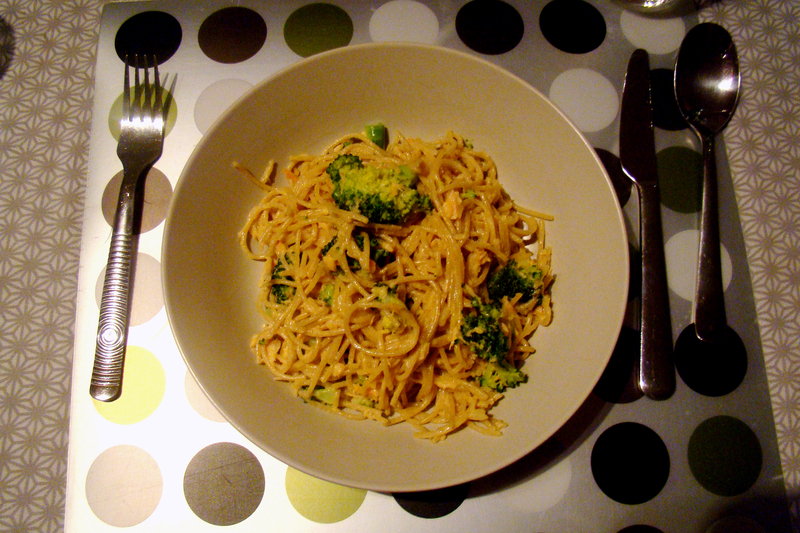 Set the table and enjoy this delicious and healthy pasta! I’d have to substitute the salmon, but otherwise this sounds fabulous! I love carbonara. It’s such a simple and delicious method for pasta. Thank you for sharing this with #FoodieFridays! We can’t wait to see what you’ve cooked up to share this week. 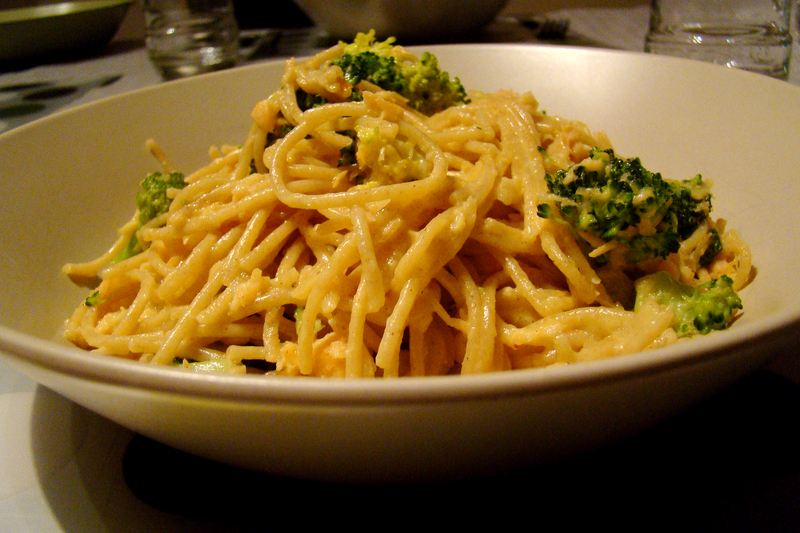 This plate of pasta looks very yummy….